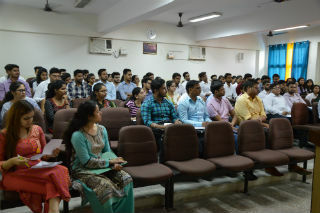 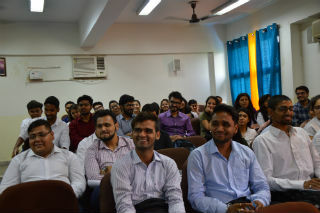 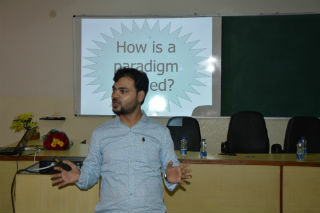 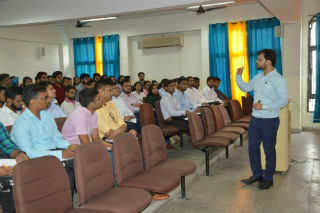 A workshop was conducted by Mr Gaurav Vashisht, Founder (Green Décor Pvt. 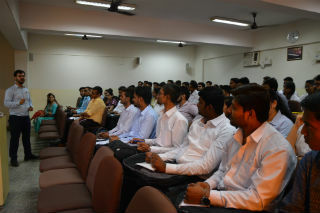 Ltd. & CMO- Cheetah Logistics Pvt. 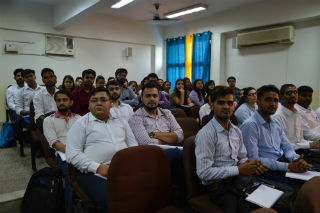 Ltd) on Skills Vs Knowledge for PGDM- International Business & PGDM- Retail Management students (2018-2020 Batch) on 7th July, 2018. 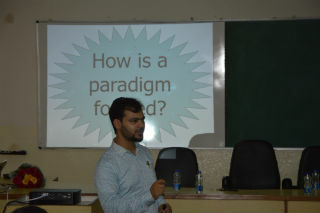 Mr Gaurav explained the difference between the handwork and the smart work and how smart work will help person in achieving their goal in life. 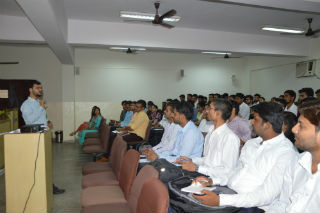 He also motivated students by saying ‘Whenever you fall, pick up something, not the regret but the lesson’.